Our professional hair team carries out in-depth consultations free of charge to assess your hair and any style changes before your appointment. "Nice atmosphere. Executed demands accurately and in a timely manner. My husband only needed a line and that was done precisely and neatly. We are from out of town and it was nice to have a placed to go and get the job done right. Highly recommended." "I wanted to get my hair cut again for the summer season and decided to try a new barbershop. R&R Barber & Beauty Salon is one of the BEST barber shops I've been to. The shop is very modern and up to date. My barber Rafael is AMAZING. He's very attentive to the type of haircut and style I want. When I try new cuts he makes great suggestions for my hair type. He nails every cut I've had from him. Making appointments is easy. You can book your appointment online in seconds. His time slots and choices are perfect for someone with a busy schedule. 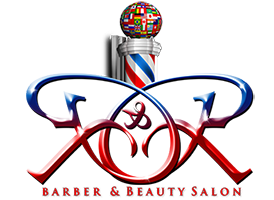 The barber shop and beauty salon is definitely 5 stars!" "I have a new best friend in the salon business. Very professional. Great facility. Outstanding services!"